Partly situated in the idyllic Mount Rainier National Park, this field trip visits exceptional examples of Oligocene subaqueous volcaniclastic successions in continental basins adjacent to the Ancestral Cascades arc. 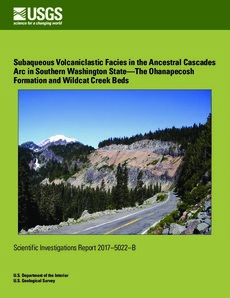 The >800-m-thick Ohanapecosh Formation (32� Ma) and the >300-m-thick Wildcat Creek (27 Ma) beds record similar sedimentation processes from various volcanic sources. Both show evidence of below wave-base deposition, and voluminous accumulation of volcaniclastic facies from subaqueous density currents and suspension settling. Eruption-fed facies include deposits from pyroclastic flows that crossed the shoreline, from tephra fallout over water, and from probable Surtseyan eruptions, whereas re-sedimented facies comprise subaqueous density currents and debris flow deposits.